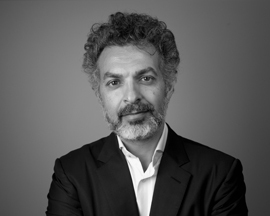 Described by the Asia Society as a ‘Game Changer’, Saad Mohseni has built a reputation as a dynamic and innovative entrepreneur. As Chairman and Chief Executive of MOBY GROUP, Saad has been widely applauded for his role in advancing press freedom, empowering civil society and defending women’s rights. Time Magazine recognized him in 2011 as one of the 100 most influential people in the world, while in 2013, Foreign Policy magazine named him among 100 Global Thinkers. In 2016, he was featured in the Business Insider 100 “The Creators” list, and recognized by the BBC as one of 10 men globally championing gender equality. Saad currently serves on the boards of the International Crisis Group (ICG) and the Washington DC-based International Center for Journalists (ICFJ). One of four children of an Afghan diplomat, Saad spent his early years in the United Kingdom, Kabul, Islamabad and Tokyo, before emigrating to Melbourne, Australia.